This week is the annual National Association of Broadcasters show, where a number of Mac and iOS compatible products geared toward professionals have been unveiled, including new Thunderbolt 2 accessories, an upgraded DJI Phantom 2 Vision+ flying camera drone, and a plethora of 4K video recording and playing devices. LaCie this week unveiled new storage options compatible with Thunderbolt 2, the input/output specification designed by Intel and Apple and featured on all of the latest Macs. Most notably, the new LaCie 8big Rack boasts up to 48 terabytes of storage on eight hard drives, geared for professionals who need capacity when shooting and editing high-resolution 4K video. Joining that were also the LaCie 5big and 2big Thunderbolt 2 racks. All three products are scheduled to become available this quarter, and pricing has yet to be announced. Other World Computing has also debuted its new Mercury Elite Pro Dual external Thunderbolt drive with RAID capabilities. Its two-bay design allows up to 8 terabytes of total storage. 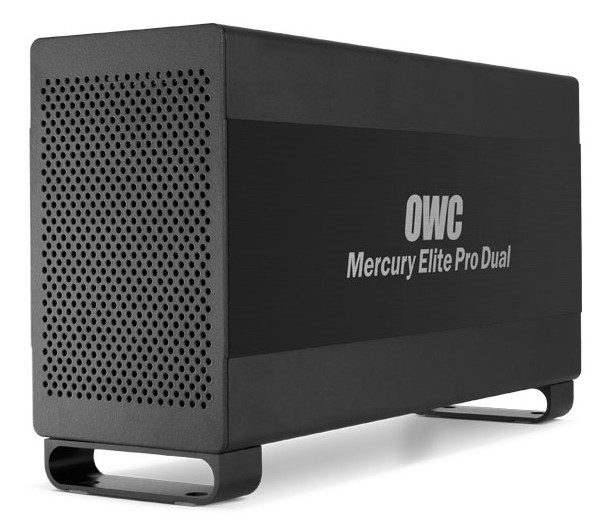 Six prosumer models of the OWC Mercury Elite Pro Dual are available, starting at $299.99 for an empty enclosure kit, and extending to $759.99 with 8 terabytes. Also unveiled this week is the new Elgato Thunderbolt Dock, which allows users to plug in a display, speakers, hard drives and more with a single Thunderbolt cable. It sports three USB 3.0 ports, two Thunderbolt ports, an HDMI port, gigabit Ethernet, and audio in/out. A version of the Elgato Thunderbolt Dock without a Thunderbolt cable retails for $199.95, while the version with a cable is now available for $229.95. Finally, HighPoint Technologies also announced a new Thunderbolt 2 storage adapter, the RocketStor 6328L. The eight-channel SATA adapter is claimed to be "the industry's most affordable," supporting any industry standard Mini-SAS and eSATA storage enclosure, including those with integrated RAID capability. Pricing and availability are yet to be announced, but HighPoint has said the RocketStor 6328L will debut in the second quarter of 2014. Also this week, Intel unveiled new 10-gigabit Ethernet Thunderbolt Networking, allowing direct peer-to-peer connections between both Mac and PC for quick, huge file transfers. Users with Thunderbolt 2-equipped Macs running the latest version of OS X Mavericks can already take advantage of the feature. 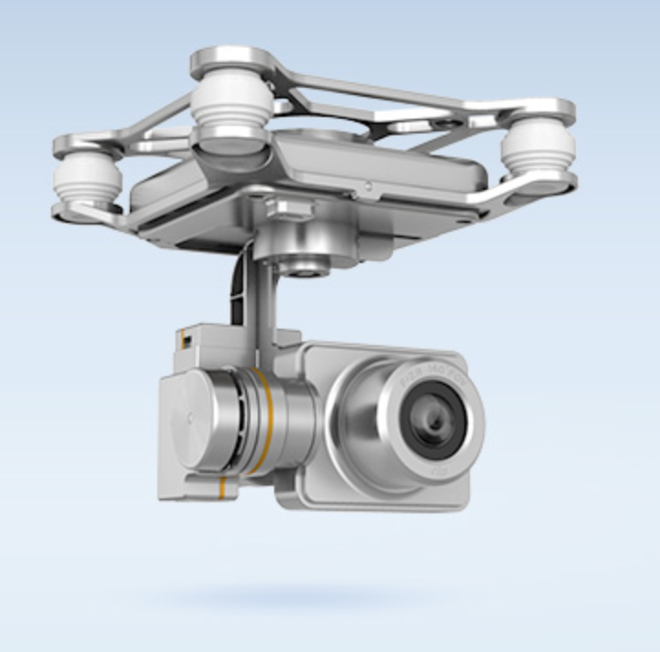 The latest high-end flying drone from DJI, dubbed the Phantom 2 Vision+, boasts a redesigned three-axis camera gimbal that compensates for motion, allowing for even smoother aerial photography. The upgraded Phantom 2 also has a new Wi-Fi module that DJI says can fly up to 2,300 feet without losing connection. The additional distance will come in handy with enhanced speed on the Vision+, which can now fly at up to 50 feet per second. 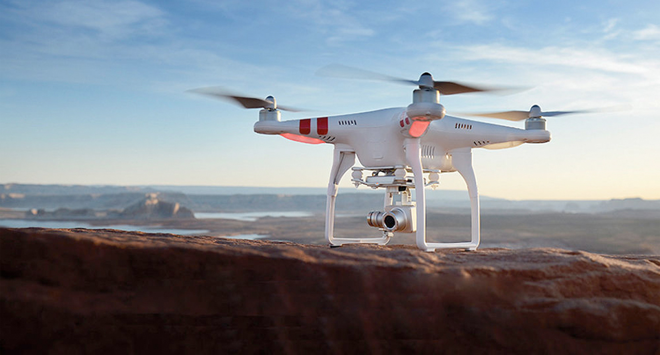 Even with the upgrades, DJI says the new Phantom 2 Vision+ offers up to 25 minutes of flight time on a single charge. It's available now for $1,299 from reseller partners Amazon and B&H Photo. AppleInsider took a look at the Phantom 2 Vision earlier this year and found that the high-end iPhone-compatible flying camera justified its price tag as a fun, easy-to-fly drone that's capable of capturing spectacular pictures from impressive heights. That model remains available for $1,179, and comes with an extra battery— a $160 value. A common theme among new products unveiled at NAB this week is ultra-high-resolution 4K video. Leading the pack was Sony, which revealed its new A7S mirrorless camera, boasting a full-frame 12-megapixel sensor and 4K-video-capable camera. Recording 4K video on the A7S requires the camera be connected to an external recorder via HDMI, while 1080p video can be stored internally. Sony has also boasted that its new A7S has a sensitivity range of ISO 50 to 40960, which allows for shooting 4K video in nearly complete darkness. 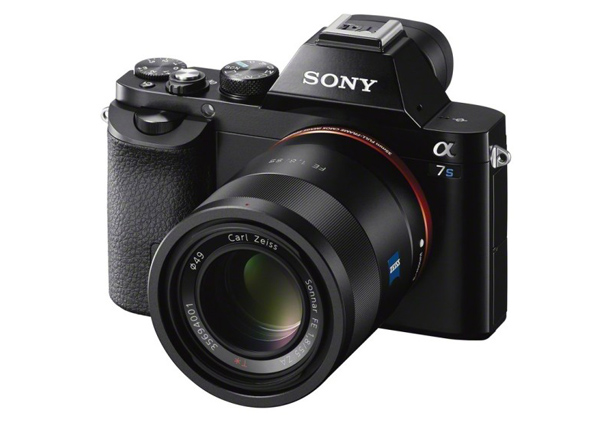 Pricing and availability for the Sony A7S are not yet available. For watching 4K video, Panasonic this week announced two new massive displays capable of displaying ultra-high-resolution content: the 84-inch TH-84LQ70, and the 98-inch TH-98LQ70. 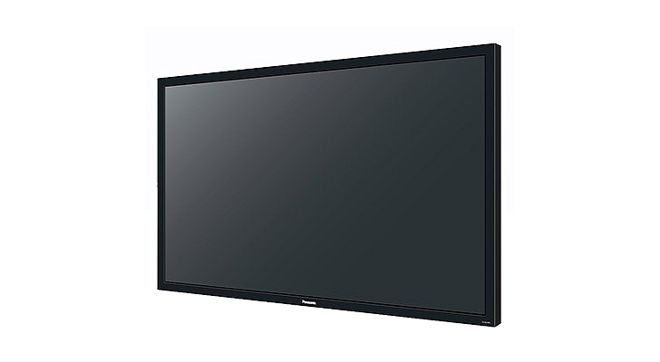 These large-format LED displays with native resolutions of 3,840 by 2,160 pixels are intended for broadcast production, digital signage, control rooms, and other professional applications. Both are scheduled to ship this September. 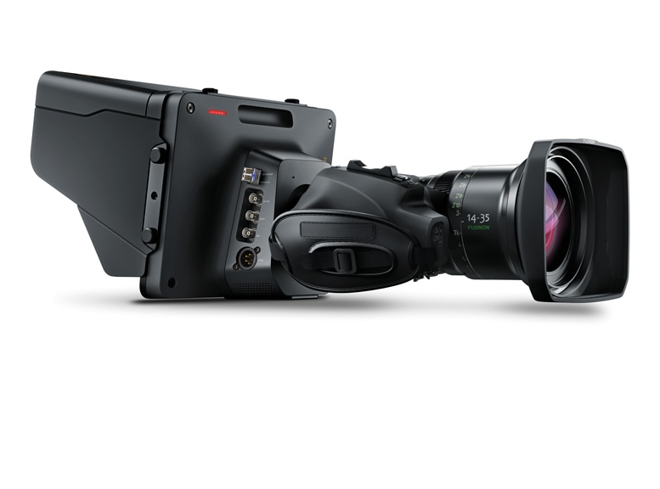 Blackmagic has also announced its new Design Studio Camera 4K, offering recording resolutions up to 3,840 by 2,160. It also includes a 10-inch LCD and a built-in 4-hour battery and will ship in June for $2,995. An HD-only version that maxes out at 1080p 60 frames per second is currently available for $1,995. Fleshing out its 4K video options, Blackmagic has also announced the ATEM 2 M/E Production Studio 4K ($3,995), a series of 4K video converters that retail for $295, and the new DeckLink 4K PCI Express capture cards, priced at for $295 and $595.